Nick Stargu is a musician, comedian, writer and filmmaker who is best known for his multimedia / musical comedy act, DJ REAL, which has been featured at Comedy Central's Colossal Clusterfest, Big Sky Comedy Fest, Outside Lands, San Francisco Sketchfest, Bridgetown Comedy Festival and more! He most recently appeared on the TV show “Flophouse” on Viceland and as a host on NBC's show "The Guest List" on Seeso. And he’s opened for Devo and Bridget Everett! 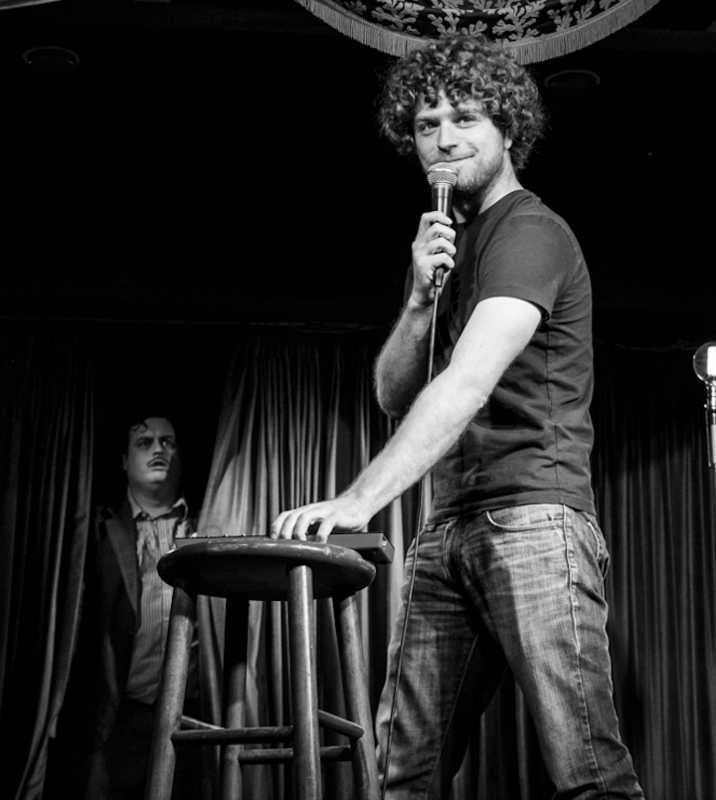 Nick also performs as Imaginary Radio with comedy partner, Drennon Davis. They have performed at festivals all over the country, including SXSW, the Funny or Die Oddball Festival and have recently appeared in NBC’s "Comedy Show Show” on Seeso, as well as the audio version of the show, hosted by Will Arnett. He is an audio producer, composer and sound designer at Audible's comedy division. He has written the theme songs for "Bedtime Stories for Cynics" (w/Nick Offerman), "Hold On with Eugene Mirman", "Limelight" and more. He co-produced the audio series McSweeney's Internet Tendencies, and has worked on the production of a number of shows including "Wedlock with Kurt Braunohler and Lauren Cook" and most recently "Dr. Katz: The Audio Files". Nick produced and performed on the Wolf Larsen songs "If I Be Wrong" and "Kitchen Door", with a combined 20 million views on YouTube and over 2,000,000 plays on Spotify. The song "If I Be Wrong" was also featured in a 3Mobile ad in Ireland. He has written a number of podcast theme songs and engineered albums for local recording artists. For more info, check out Nick's Audio page.